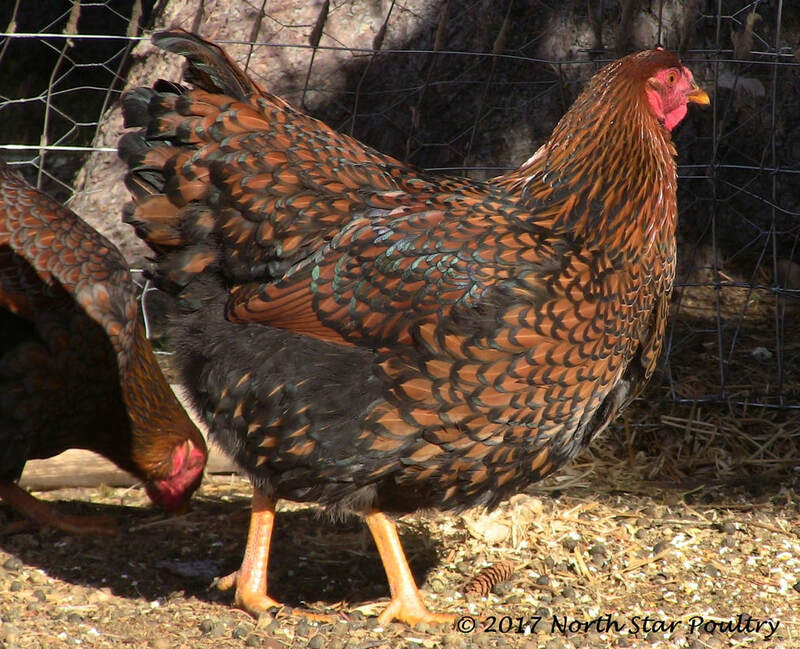 American Stars have complex and striking coloration. 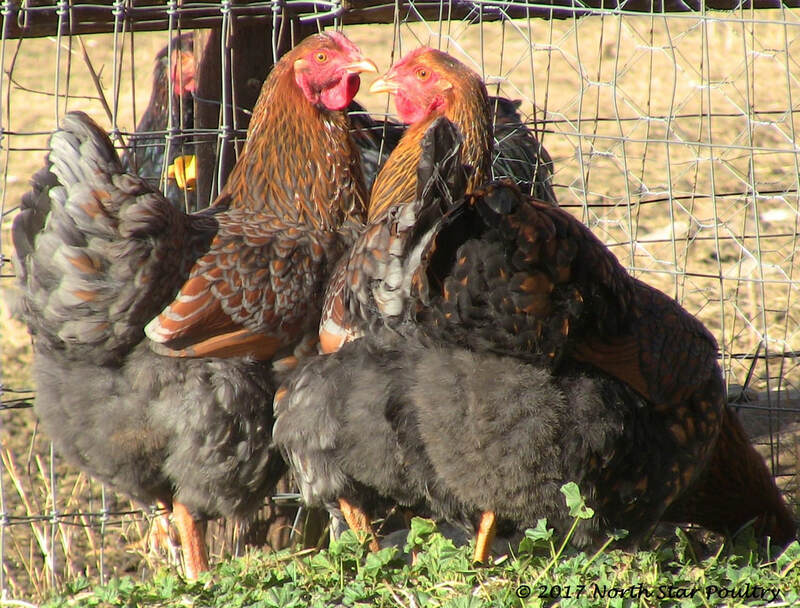 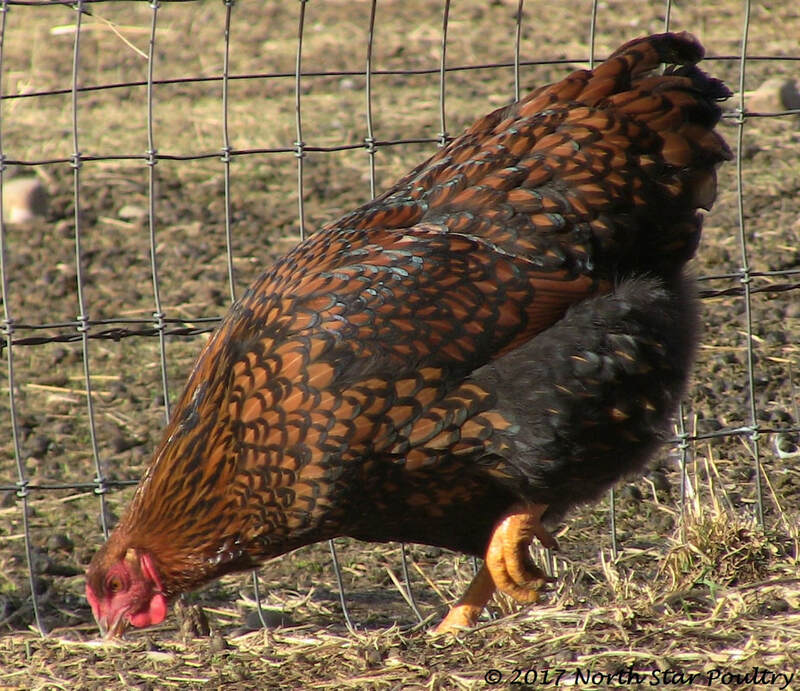 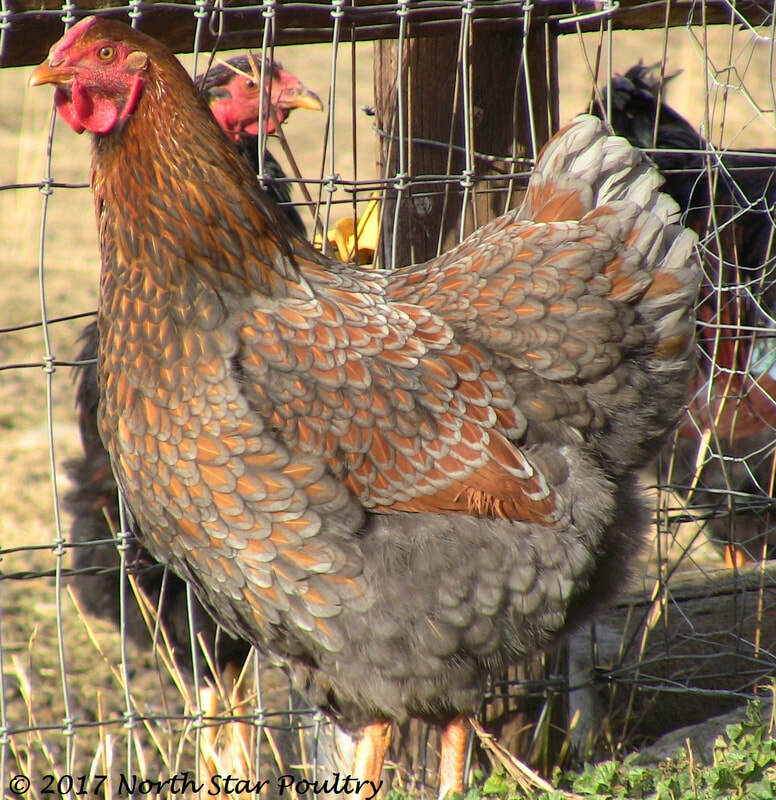 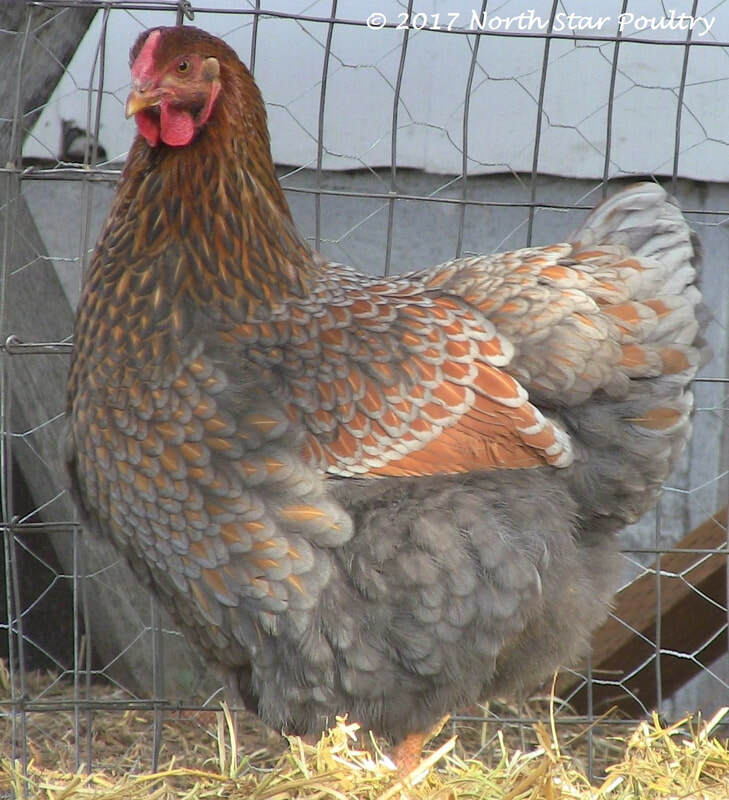 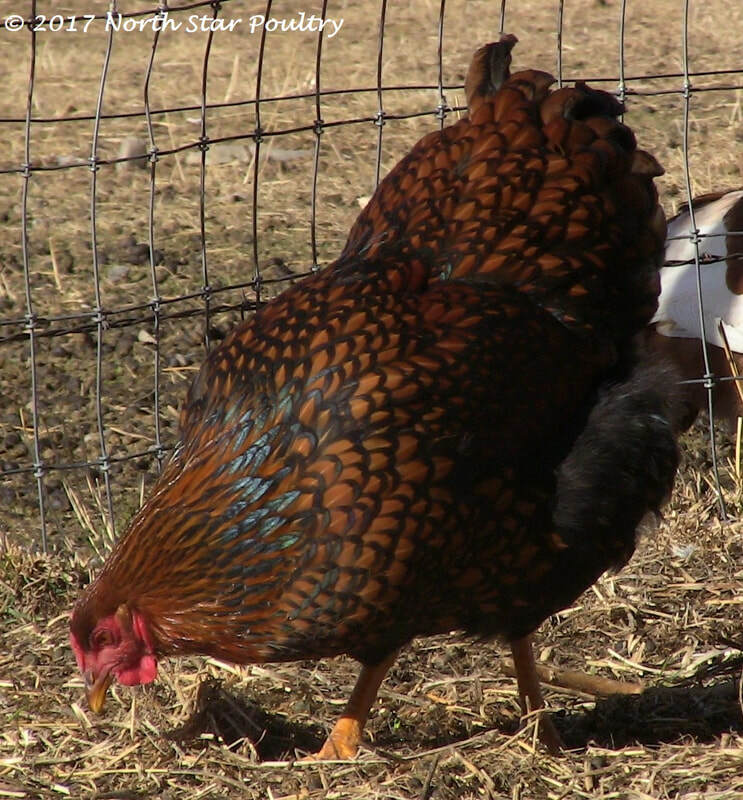 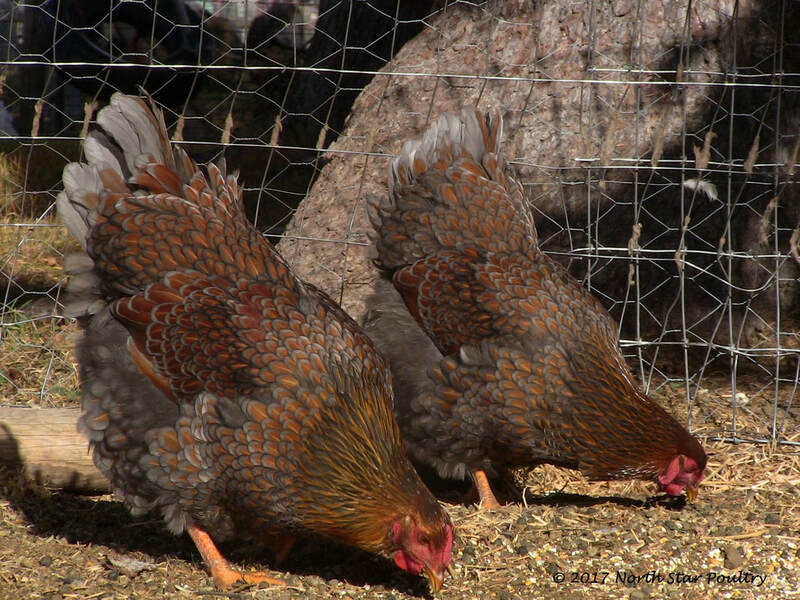 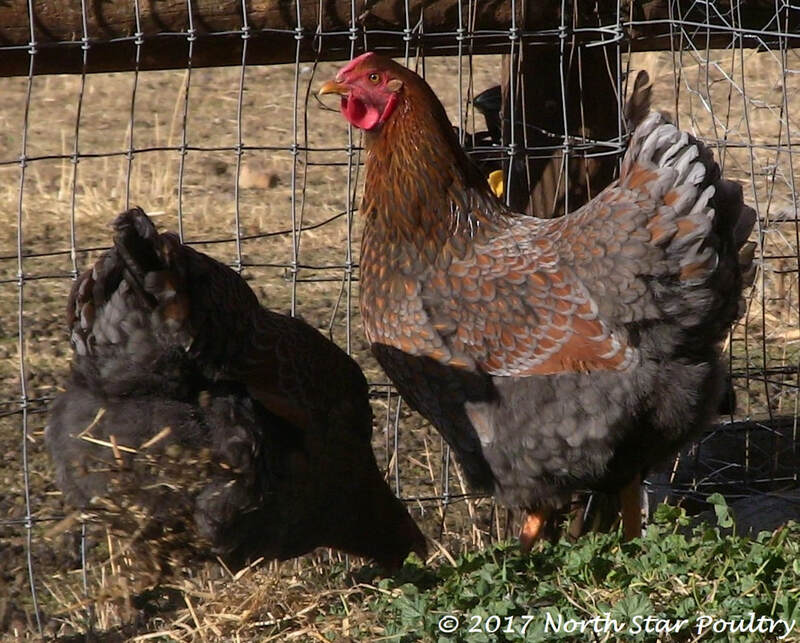 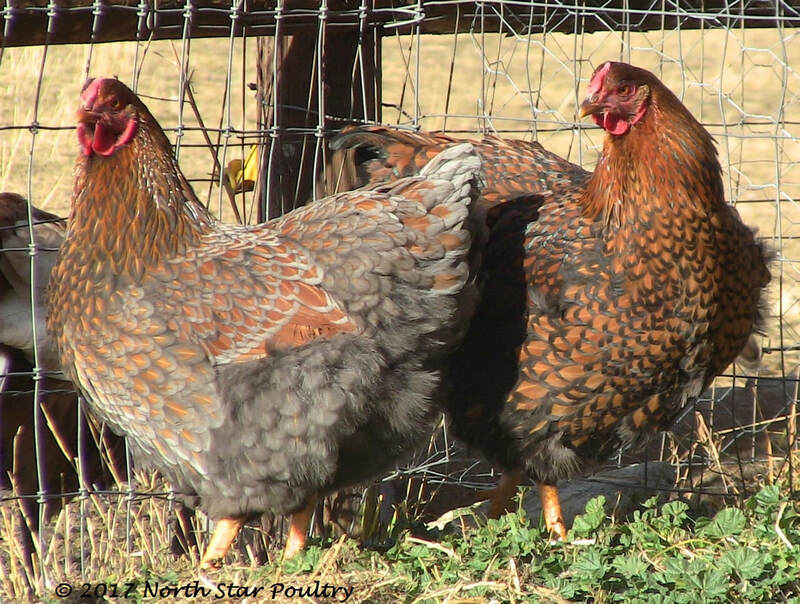 Hens are ginger red with each feather laced in blue or glossy black. 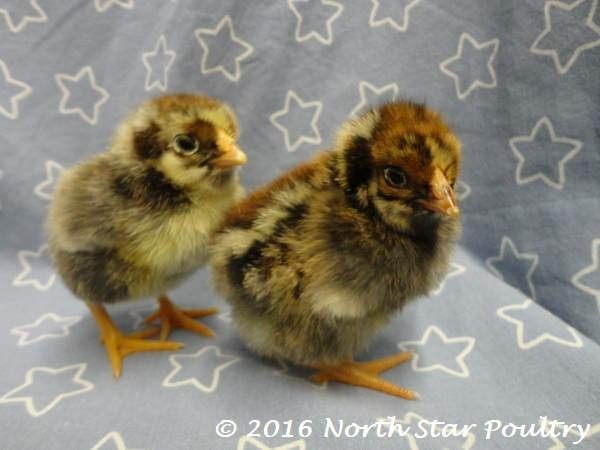 ​ American Star Chicks are little calico creatures: gold, black, yellow, red, white, and brown. 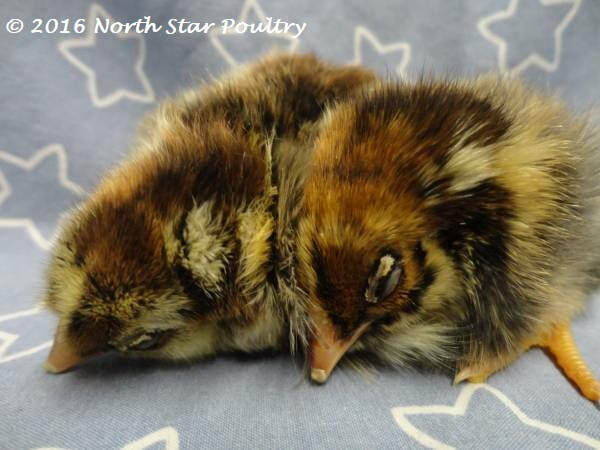 Particularly cute is the yellow and black eyeliner some chicks have, which can be seen in the picture of the sleeping chicks. 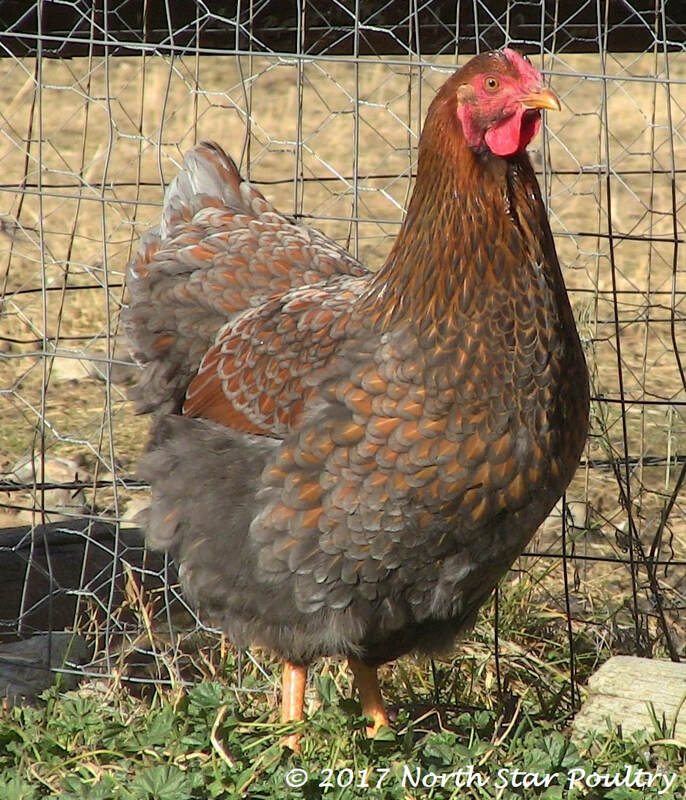 ​ They are energetic, vital birds with docile personalities.